The Tony Awards are over! The victors have taken home their awards and work is already beginning for next year's awards, I'm sure. Time to see how our predictions panned out and share some of the best moments. The opening number at the Tony Awards is always a big deal, and I really enjoyed Kevin Spacey's take on the challenge. Winner -- Santo Loquasto for Hello, Dolly! Hello, Dolly! was a clear favorite for this one and Andrea and I both predicted it as a possible winner. 1/1 for our predictions. The show is filled with colorful costumes for colorful characters. Just look at that hat! Once again, Andrea and I predicted this show to win this award. Just take a look at this fun performance! Winner -- Gavin Creel for Hello, Dolly! Once again, we were pretty on top of this one. Gavin Creel's role as Cornelius is pretty large and he's a great actor, so no surprises here. Our predictions are now 3/3. I picked Dear Evan Hansen even though I thought Great Comet might win, so I guess the joke's on me. Andrea didn't choose a specific show, so I won't count that in her numbers. The lighting design for Great Comet is pretty amazing, so it's easy to see why it won. 3/4 for me and 3/3 for Andrea. The first big surprise of the evening. I thought Comet would run away with this award, though I did have DEH listed as a wildcard (so I shall give myself half a point). Andrea picked this (as well as Come from Away). So that's 3.5/5 for me and 4/4 for Andrea. I predicted DEH, while Andrea suspected Come from Away would steal the spot. In the end, Dear Evan Hansen pulled through. With its realistic dialogue and easy flow, I'm not surprised. 4.5/6 for me and 4/5 for Andrea. Bethany: Predicted Great Comet or Bandstand. This was a surprising win, but deserved, I'm sure. Lacamoire also won last year for Hamilton. As you can see, Andrea and I were both off. Me: 4.5/7, Andrea: 4/6. Once again, I listed the winner as a wildcard pick. I predicted Jenn Colella from Come from Away, while Andrea picked Stephanie J. Block (or Jenn) to take home the trophy. Looks like we were both wrong, but since I listed her as a wildcard, I'll give myself another half point. Rachel Bay Jones does an excellent job in this tear-inducing role as a mother who isn't always able to be there for her son because she's trying to provide for him. Me: 5/8, Andrea: 4/7. I predicted this one as a probable win, while Andrea didn't pick a specific show again. Me: 6/9, Andrea: 4/7. Okay, I predicted Holiday Inn because I was awed by the idea of a tap number with jump ropes. I should have predicted Bandstand like Andrea. Also, this show looks awesome and their Tony performance was fabulous. Me: 6/10, Andrea: 5/8. This was all I wanted from this year's Tony Awards. Ben Platt won Best Actor and he was precious. His speech in the above video was inspiring as well. Both Andrea and I got this one correct. Me: 7/11, Andrea: 6/9. 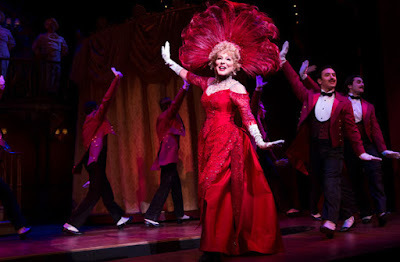 Winner -- Bette Midler for Hello, Dolly! As predicted by both of us, Bette Midler won! She also did something we didn't expect: she talked right through her play-off music to thank people until the music actually stopped. It was a pretty hilarious moment that will probably live in Tony Awards infamy. Me: 8/12, Andrea: 7/10. I love the Revival of a Musical category. It's the moment musical classics get a chance to shine again. This year, they returned a previously cut song to the show and you can see David Hyde Pierce performing it above. I predicted this to win, while Andrea thought Falsettos might beat it. Me: 9/13, Andrea: 7/11. Whoa. Although I like Dear Evan Hansen, I was sure Great Comet was a lock for the night's biggest award. Andrea predicted rightly, though, so our final counts are ... me: 9/14, Andrea: 8/12. We didn't do so badly, but next year will hopefully be better. Ben Platt leading the cast of DEH, just days after being on vocal rest, was lovely and emotional and great. This kid can act and sing so beautifully. The performance from Miss Saigon was so chilling and emotional, a truly gut-wrenching performance and one of my favorites from the night. Have to share the performance from Groundhog Day since it didn't win any awards and has a talented cast. Lastly, I had to share this performance by two Broadway legends, Christine Ebersole and Patti LuPone. So there you have it. 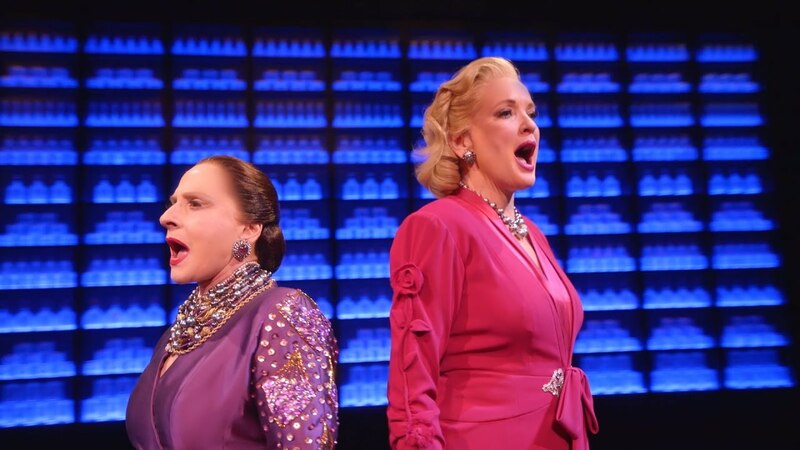 What was your favorite moment from the Tony Awards? Did your favorites win?